Murakami is back with a masterpiece of a novel. I will start by admitting that I am a huge Murakami fan and this novel did not disappoint. Written in his inimitable style it is beautifully mundane and tantalisingly surreal in equal measure. The story begins with a successful portrait artist whose wife has recently left him. Feeling a change is in order he secludes himself in a house the mountains, which previously belonged to a famous Japanese artist, to try and rediscover his artistic style. 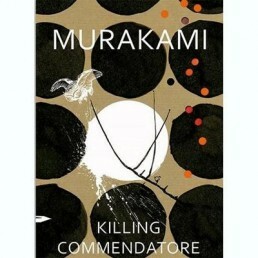 While there he discovers a hidden painting entitled Killing Commendatore. This discovery changes the course of his life. An incredibly well written novel, you are completely immersed in the story, savouring every page until reaching the satisfying conclusion.